When it comes to eye care, there are many types of surgical and non-surgical procedures. Our doctors and surgeons are expert in each of these procedures, ranging from general vision correction such as LASIK, to refractive lens exchange following cataract surgery, and any other comprehensive eye care procedure imaginable. Our surgical team has performed over 100,000 successful eye care procedures, establishing its rank as among the best in the nation. In addition to surgical care, our eye care specialists are expert in all non-surgical treatments that may be required by our patients. If you simply need a routine eye exam, Atlantis is the practice for you. If you need comprehensive eye surgery to remove a cataract and exchange your lens, Atlantis is the practice for you. Our team of specialists has total expertise in any needed eye care procedure, putting Newport Beach patients in the best hands possible. It is estimated that cataracts affect more than twenty-million individuals in America today. While some individuals experience them earlier than others, a majority off all people will eventually develop cataracts, beginning as early as the age of forty. Learn more about cataracts and the treatments we offer. Regarded as one of the fastest growing of all medical procedures, LASIK has helped more then 12 million Americans eliminate the need for contacts and glasses since the late 1990’s. Our LASIK experts can help you do the same. Find out just how safe, effective and affordable LASIK can be at Atlantis Eyecare. We can take good vision for granted – until something goes wrong. Your eyesight is just like your body – you will experience changes as you age. The vision you are born with is not the same vision you have at 16, 35, or 50. 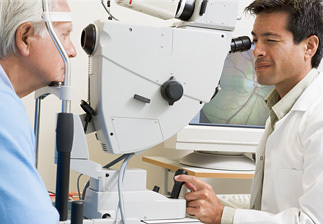 Our expert doctors have helped thousands to maintain proper eye health. Glaucoma is a category of diseases which affect the nerve that carries visual information from the eye to the brain (called the optic nerve). Largely a silent disease, glaucoma is the number one cause of preventable blindness in the United States. That’s why early detection & treatment is of the utmost importance.